Nintendo of Europe: Thank you very much for joining us today. We have a burning question we’d like to start with – when you were developing Splatoon, did you intentionally set out to make a shooter, or was it something that just happened organically? 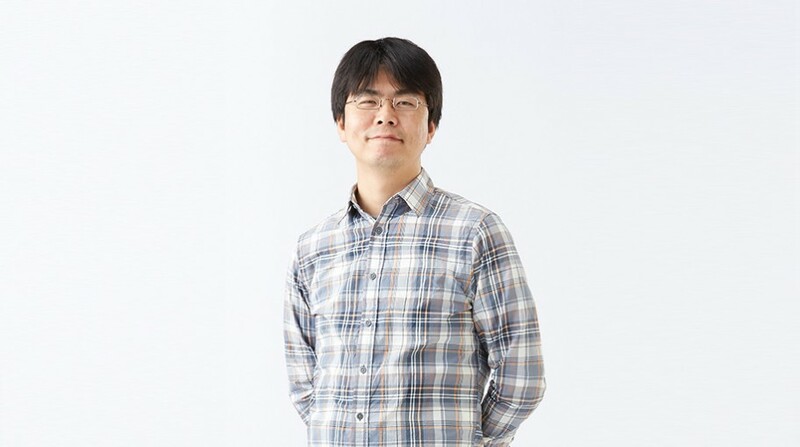 Hisashi Nogami: Originally, when we started creating Splatoon, we weren’t necessarily trying to create a shooter game, no. We wanted to go beyond any existing franchise, and to create an entirely new game – that was the initial motivation. However, as we were trying various things during development, one idea that came up was the idea of painting the ground with ink to fight over territory. Once we’d developed this idea a bit further, we had the idea of submerging oneself in the ink in order to move faster, and adding different kinds of weapons for a greater variety of attacking possibilities. Then we thought, we can design a greater number of stages to allow for more layers of strategy. As we enriched the content of the game, it developed into something similar to a shooting game. NoE: Was there ever a thought to associate a known franchise with Splatoon? HN: The whole idea was to not be constrained by an existing franchise. The first point was that it needed to be fun to play, and once we’d achieved that, we then conceived the characters and the world vision to match perfectly with the gameplay. We felt that a new world with new characters was more suited to the gameplay, and that’s how we came up with this new franchise. NoE: I think that the players really feel that as well. Splatoon has a very unique sense of style – from the visuals, to the music, there’s a really one-of-a-kind feel to the whole game. Where did the inspiration for that come from? HN: We really wanted the look and feel of the game to match the gameplay. You can have a Mushroom Kingdom to paint, or you can have a real world. We thought players would be more motivated to paint when they’re playing in a more realistic landscape. So, for the hub, we created a city that seems real. We then thought about the kind of Inklings who would enjoy playing something like this – they’d like to have fun and goof around, so to speak. For that reason, the Inklings in the game are basically teenagers. In the game world, the whole act of shooting ink around for fun is like going skateboarding or riding a BMX in our world. It’s a bit dangerous and you do it on the streets, so in that sense it’s inspired by extreme sports. We imagined what kind of fashion these people would like, and that kind of skater fashion seemed appropriate to bring in and integrate with the gameplay. The developers of Splatoon are around 30 years old now, and a lot of the fashion in the game is inspired by the style they grew up with during their teenage years. NoE: So it’s like the development team as teenagers in the game? HN: Yes! It’s very 1990s. We grew up with a great adoration for that style, and we reflected that in the game. I think it really resonates with people who grew up with the same influences. NoE: And it’s still cool today for the younger audience, too! NoE: It’s been over a year now since Splatoon launched. What has surprised you the most about its success? HN: What I’m most surprised by is the number of people who are still playing the game. We envisioned that a great variety of players could enjoy playing Splatoon, and we were very confident we’d made a game that you could really immerse yourself into. Through the consecutive updates, we added new content and new stages, and at the same time, we adjusted the balance of the game very carefully. We strove to create very even match-ups, and an environment where you could team up and make use of your skills. We took a lot of time to optimise that aspect of the game, and we’re really, really happy to see so many people still playing Splatoon. NoE: The Squid Sisters have become very popular too; they already have their own CD in Japan, and they’ve even hosted their very own concerts. Where would you like to see them go next? HN: They were just supposed to provide information to the players – we didn’t expect that they would become so popular, frankly! They got their own amiibo and the final Splatfest was themed after them, and all of this was really in response to their popularity among the players. We saw that they were very popular, and so we wanted to make the most of it. So the kind of activities they’ll do in the future will depend a lot on the players, and we’ll respond accordingly to them. But for now, there are no concrete plans. NoE: Why do you think that fans have responded so very well to the game? HN: I think, for a lot of people, Splatoon is a type of game that they haven’t had much experience with. It’s a third-person shooter, but you don’t just defeat your opponent – what wins or loses matches is how much of the ground your team has covered. I also think the fact that you co-operate online as a team of four is an idea that a lot of people find refreshing, and maybe that’s why they were attracted to this game. When we attended gaming events in Japan, the people who were playing Splatoon would always be having fun, but the people watching can enjoy just looking at it. I often see that, when a child is playing, their parents are behind them saying, “You have to do this! Go there! Go do that!” It’s a game that’s also fun for the people watching, and when you’re looking at it, it makes you want to join in. I think that’s something that attracted a great number of people. NoE: Right now, an online Splatoon tournament called Go4Splatoon Europe is raging on across the continent. Do you have any advice for competitors? HN: Talk amongst your teammates and come up with a proper strategy. Think of different ways in which you could approach different situations, and come up with tactics for each stage. “If it’s this stage, then we should approach it like this. Let’s attack in this way first, and then if this situation arises, then we take this tactic in order to overcome it.” The tactics are something that they should talk about, but practice is also very important. You have to practise! I think that’s an important point for them to bear in mind. Of course, you should practise with the weapons that you like so you have great mastery of them. On the other hand, you have to master a wider variety of weapons so you can adapt and fulfil your role within the overall strategy, especially in order to win. If you’re just having fun, fine, but the point for this tournament is that you should try to win, so, with your teammates, you need to discuss tactics and practise with them beforehand. That would be my advice.